This Mishimoto 2.5 inch, 90 degree coupler has a thickness of 4 mm and length of 3 inch. 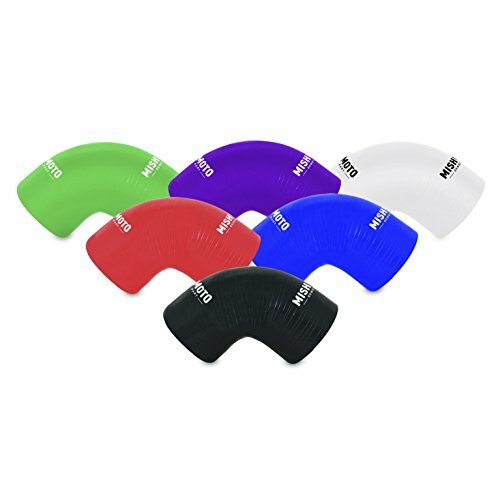 Length: 3" Thickness: 4mm ID: 2.5" OD: 2.8"
Vibrant Performance Aramid Reinforced Silicone Couplers are hand wrapped and feature 4-ply reinforcement, which allows our couplers to be capable of withstanding extreme temperatures and heavy duty pressure conditions without swelling or bursting. 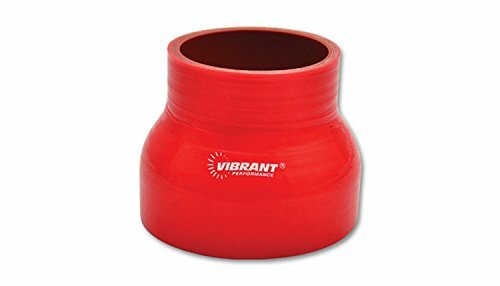 All Vibrant Performance reinforced hoses meet or exceed SAE J20 specifications, are suitable for coolant service and are UV and Ozone resistant. Not suitable for oil or fuel service, although custom hose solutions are available for such applications. Available in straight sections, transition hoses, hump hoses, 45 and 90 deg. elbows as well as transition elbows, and in a wide variety of Hose ID sizing. Rated for temperatures ranging from -65 deg. F to 350 deg. F.
HPS 3 inch - 3-1/2 inch 4-ply Reducer Coupler Silicone Hose x 4 inch long Black 76 millimeter - 89 millimeter features 4-ply reinforced and knitted premium polyester fabric with high temperature silicone rubber, for which meet or exceed SAEJ20 Standard and is engineered for extreme temperature and various pressure ranges where high performance levels are required. HPS Silicone Hose is commonly used for joining two hard pipes while reducing the possibility of connections coming apart or having your hard pipes or other equipment break. HPS silicone hoses are used by professionals in industries such as high performance racing vehicles, commercial truck and bus, Marine, agricultural and off highway vehicles, turbo diesel, food and beverage, and general manufacturing industries. Temperature Range: - 65 degree Fahrenheit to + 350 degree Fahrenheit (177 degree Celsius). Silicone hose is compatible with water or anti-freeze such as coolant. Silicone hose is not compatible with fuel or oil. HPS 3 inch - 4 inch 4-ply Reducer Coupler Silicone Hose x 6 inch long Black 76 millimeter - 102 millimeter features 4-ply reinforced and knitted premium polyester fabric with high temperature silicone rubber, for which meet or exceed SAEJ20 Standard and is engineered for extreme temperature and various pressure ranges where high performance levels are required. HPS Silicone Hose is commonly used for joining two hard pipes while reducing the possibility of connections coming apart or having your hard pipes or other equipment break. HPS silicone hoses are used by professionals in industries such as high performance racing vehicles, commercial truck and bus, Marine, agricultural and off highway vehicles, turbo diesel, food and beverage, and general manufacturing industries. Temperature Range: - 65 degree Fahrenheit to + 350 degree Fahrenheit (177 degree Celsius). Silicone hose is compatible with water or anti-freeze such as coolant. Silicone hose is not compatible with fuel or oil. HPS 2-1/2 inch - 3 inch 4-ply Reducer Coupler Silicone Hose x 4 inch long Blue 63 millimeter - 76 millimeter features 4-ply reinforced and knitted premium polyester fabric with high temperature silicone rubber, for which meet or exceed SAEJ20 Standard and is engineered for extreme temperature and various pressure ranges where high performance levels are required. 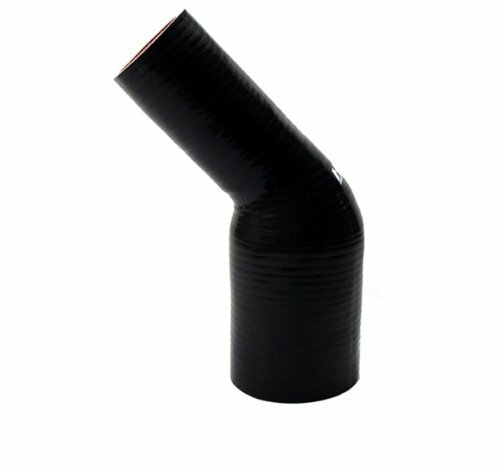 HPS Silicone Hose is commonly used for joining two hard pipes while reducing the possibility of connections coming apart or having your hard pipes or other equipment break. HPS silicone hoses are used by professionals in industries such as high performance racing vehicles, commercial truck and bus, Marine, agricultural and off highway vehicles, turbo diesel, food and beverage, and general manufacturing industries. Temperature Range: - 65 degree Fahrenheit to + 350 degree Fahrenheit (177 degree Celsius). Silicone hose is compatible with water or anti-freeze such as coolant. Silicone hose is not compatible with fuel or oil. 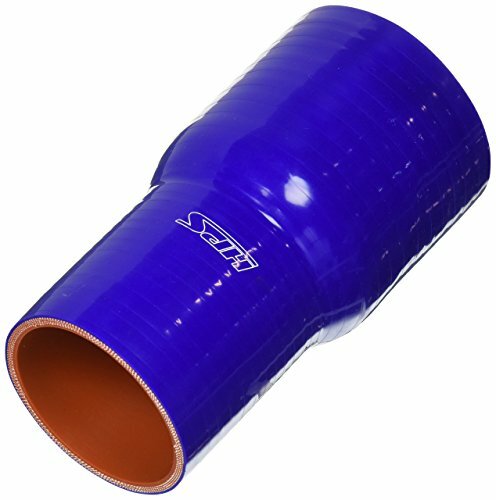 HPS 3-1/4 inch - 3-1/2 inch 4-ply Reinforced 45 Degree Elbow Reducer Silicone Hose Blue 83 millimeter - 89 millimeter features 4-ply reinforced and knitted premium polyester fabric with high temperature silicone rubber, for which meet or exceed SAEJ20 Standard and is engineered for extreme temperature and various pressure ranges where high performance levels are required. 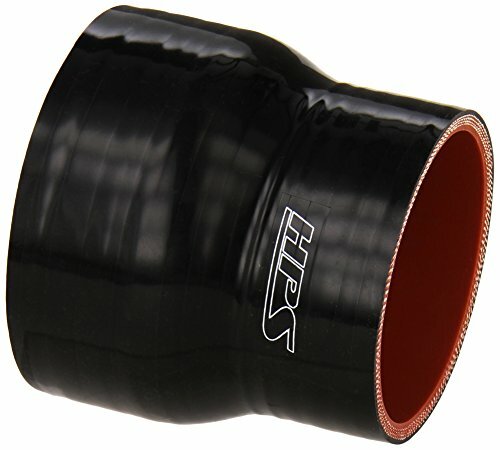 HPS Silicone Hose is commonly used for joining two hard pipes while reducing the possibility of connections coming apart or having your hard pipes or other equipment break. HPS silicone hoses are used by professionals in industries such as high performance racing vehicles, commercial truck and bus, Marine, agricultural and off highway vehicles, turbo diesel, food and beverage, and general manufacturing industries. Temperature Range: - 65 degree Fahrenheit to + 350 degree Fahrenheit (177 degree Celsius). Silicone hose is compatible with water or anti-freeze such as coolant. Silicone hose is not compatible with fuel or oil. HPS 1-3/4 inch - 2 inch 4-ply Reinforced Reducer Coupler Silicone Hose Black 45 millimeter - 51 millimeter features 4-ply reinforced and knitted premium polyester fabric with high temperature silicone rubber, for which meet or exceed SAEJ20 Standard and is engineered for extreme temperature and various pressure ranges where high performance levels are required. HPS Silicone Hose is commonly used for joining two hard pipes while reducing the possibility of connections coming apart or having your hard pipes or other equipment break. 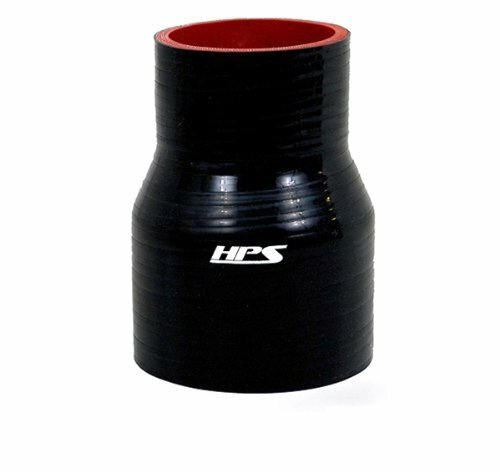 HPS silicone hoses are used by professionals in industries such as high performance racing vehicles, commercial truck and bus, Marine, agricultural and off highway vehicles, turbo diesel, food and beverage, and general manufacturing industries. Temperature Range: - 65 degree Fahrenheit to + 350 degree Fahrenheit (177 degree Celsius). Silicone hose is compatible with water or anti-freeze such as coolant. 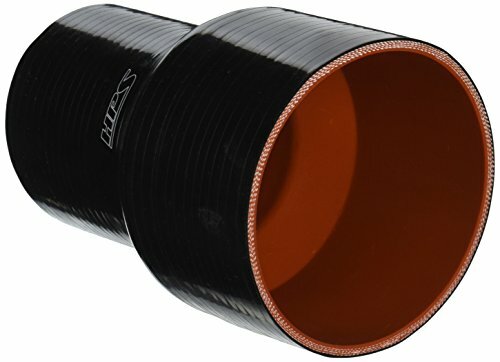 Silicone hose is not compatible with fuel or oil. HPS 2 inch - 2-1/2 inch 4-ply Reinforced 90 Degree Elbow Reducer Silicone Hose Blue 51 millimeter - 63 millimeter features 4-ply reinforced and knitted premium polyester fabric with high temperature silicone rubber, for which meet or exceed SAEJ20 Standard and is engineered for extreme temperature and various pressure ranges where high performance levels are required. 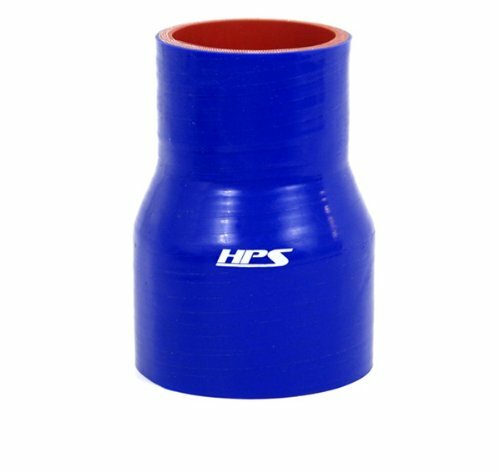 HPS Silicone Hose is commonly used for joining two hard pipes while reducing the possibility of connections coming apart or having your hard pipes or other equipment break. HPS silicone hoses are used by professionals in industries such as high performance racing vehicles, commercial truck and bus, Marine, agricultural and off highway vehicles, turbo diesel, food and beverage, and general manufacturing industries. Temperature Range: - 65 degree Fahrenheit to + 350 degree Fahrenheit (177 degree Celsius). Silicone hose is compatible with water or anti-freeze such as coolant. Silicone hose is not compatible with fuel or oil. HPS 3 inch - 3-1/4 inch 4-ply Reinforced 45 Degree Elbow Reducer Silicone Hose Black 76 millimeter - 83 millimeter features 4-ply reinforced and knitted premium polyester fabric with high temperature silicone rubber, for which meet or exceed SAEJ20 Standard and is engineered for extreme temperature and various pressure ranges where high performance levels are required. HPS Silicone Hose is commonly used for joining two hard pipes while reducing the possibility of connections coming apart or having your hard pipes or other equipment break. HPS silicone hoses are used by professionals in industries such as high performance racing vehicles, commercial truck and bus, Marine, agricultural and off highway vehicles, turbo diesel, food and beverage, and general manufacturing industries. Temperature Range: - 65 degree Fahrenheit to + 350 degree Fahrenheit (177 degree Celsius). Silicone hose is compatible with water or anti-freeze such as coolant. Silicone hose is not compatible with fuel or oil. HPS 4 inch - 4-1/2 inch 4-ply Reinforced Reducer Coupler Silicone Hose Black 102 millimeter - 114 millimeter features 4-ply reinforced and knitted premium polyester fabric with high temperature silicone rubber, for which meet or exceed SAEJ20 Standard and is engineered for extreme temperature and various pressure ranges where high performance levels are required. HPS Silicone Hose is commonly used for joining two hard pipes while reducing the possibility of connections coming apart or having your hard pipes or other equipment break. HPS silicone hoses are used by professionals in industries such as high performance racing vehicles, commercial truck and bus, Marine, agricultural and off highway vehicles, turbo diesel, food and beverage, and general manufacturing industries. Temperature Range: - 65 degree Fahrenheit to + 350 degree Fahrenheit (177 degree Celsius). Silicone hose is compatible with water or anti-freeze such as coolant. Silicone hose is not compatible with fuel or oil. 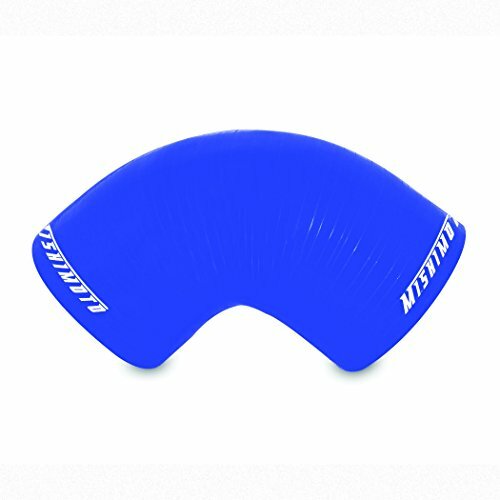 HPS 2-3/8 inch - 3 inch 4-ply Reinforced 90 Degree Elbow Reducer Silicone Hose Blue 60 millimeter - 76 millimeter features 4-ply reinforced and knitted premium polyester fabric with high temperature silicone rubber, for which meet or exceed SAEJ20 Standard and is engineered for extreme temperature and various pressure ranges where high performance levels are required. 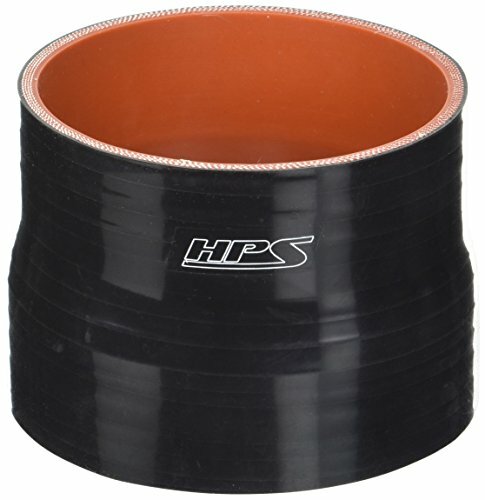 HPS Silicone Hose is commonly used for joining two hard pipes while reducing the possibility of connections coming apart or having your hard pipes or other equipment break. HPS silicone hoses are used by professionals in industries such as high performance racing vehicles, commercial truck and bus, Marine, agricultural and off highway vehicles, turbo diesel, food and beverage, and general manufacturing industries. Temperature Range: - 65 degree Fahrenheit to + 350 degree Fahrenheit (177 degree Celsius). Silicone hose is compatible with water or anti-freeze such as coolant. Silicone hose is not compatible with fuel or oil. HPS 1-3/4 inch - 2 inch 4-ply Reinforced Reducer Coupler Silicone Hose Blue 45 millimeter - 51 millimeter features 4-ply reinforced and knitted premium polyester fabric with high temperature silicone rubber, for which meet or exceed SAEJ20 Standard and is engineered for extreme temperature and various pressure ranges where high performance levels are required. 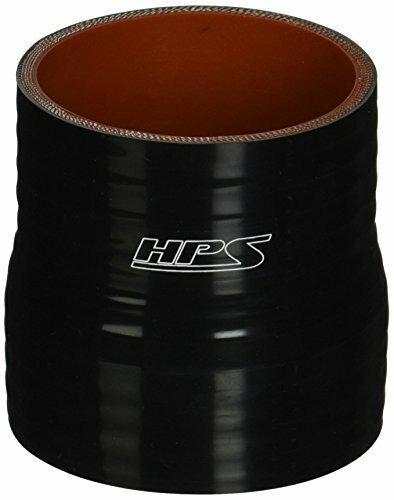 HPS Silicone Hose is commonly used for joining two hard pipes while reducing the possibility of connections coming apart or having your hard pipes or other equipment break. HPS silicone hoses are used by professionals in industries such as high performance racing vehicles, commercial truck and bus, Marine, agricultural and off highway vehicles, turbo diesel, food and beverage, and general manufacturing industries. Temperature Range: - 65 degree Fahrenheit to + 350 degree Fahrenheit (177 degree Celsius). Silicone hose is compatible with water or anti-freeze such as coolant. Silicone hose is not compatible with fuel or oil. 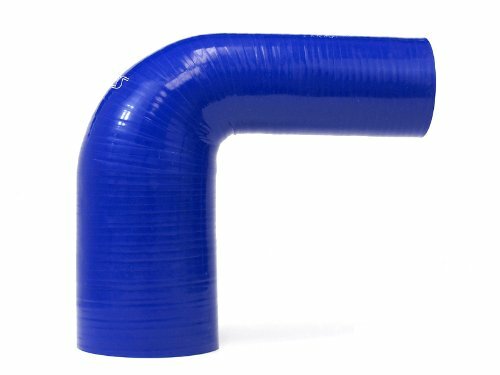 HPS 2-3/8 inch - 3 inch 4-ply Reinforced 45 Degree Elbow Reducer Silicone Hose Blue 60 millimeter - 76 millimeter features 4-ply reinforced and knitted premium polyester fabric with high temperature silicone rubber, for which meet or exceed SAEJ20 Standard and is engineered for extreme temperature and various pressure ranges where high performance levels are required. HPS Silicone Hose is commonly used for joining two hard pipes while reducing the possibility of connections coming apart or having your hard pipes or other equipment break. HPS silicone hoses are used by professionals in industries such as high performance racing vehicles, commercial truck and bus, Marine, agricultural and off highway vehicles, turbo diesel, food and beverage, and general manufacturing industries. Temperature Range: - 65 degree Fahrenheit to + 350 degree Fahrenheit (177 degree Celsius). Silicone hose is compatible with water or anti-freeze such as coolant. Silicone hose is not compatible with fuel or oil. HPS 2-1/2 inch - 3 inch 4-ply Reducer Coupler Silicone Hose x 6 inch long Blue 63 millimeter - 76 millimeter features 4-ply reinforced and knitted premium polyester fabric with high temperature silicone rubber, for which meet or exceed SAEJ20 Standard and is engineered for extreme temperature and various pressure ranges where high performance levels are required. 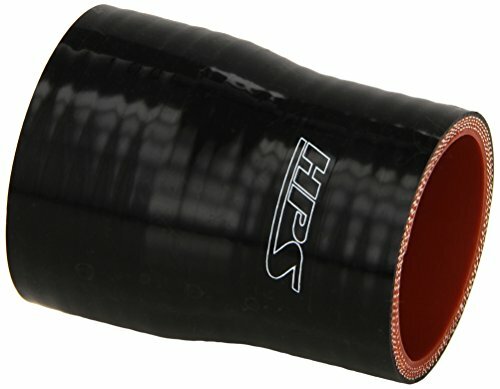 HPS Silicone Hose is commonly used for joining two hard pipes while reducing the possibility of connections coming apart or having your hard pipes or other equipment break. HPS silicone hoses are used by professionals in industries such as high performance racing vehicles, commercial truck and bus, Marine, agricultural and off highway vehicles, turbo diesel, food and beverage, and general manufacturing industries. Temperature Range: - 65 degree Fahrenheit to + 350 degree Fahrenheit (177 degree Celsius). Silicone hose is compatible with water or anti-freeze such as coolant. Silicone hose is not compatible with fuel or oil. HPS 2-1/4 inch - 3 inch 4-ply Reinforced 45 Degree Elbow Reducer Silicone Hose Black 57 millimeter - 76 millimeter features 4-ply reinforced and knitted premium polyester fabric with high temperature silicone rubber, for which meet or exceed SAEJ20 Standard and is engineered for extreme temperature and various pressure ranges where high performance levels are required. HPS Silicone Hose is commonly used for joining two hard pipes while reducing the possibility of connections coming apart or having your hard pipes or other equipment break. HPS silicone hoses are used by professionals in industries such as high performance racing vehicles, commercial truck and bus, Marine, agricultural and off highway vehicles, turbo diesel, food and beverage, and general manufacturing industries. Temperature Range: - 65 degree Fahrenheit to + 350 degree Fahrenheit (177 degree Celsius). Silicone hose is compatible with water or anti-freeze such as coolant. Silicone hose is not compatible with fuel or oil. 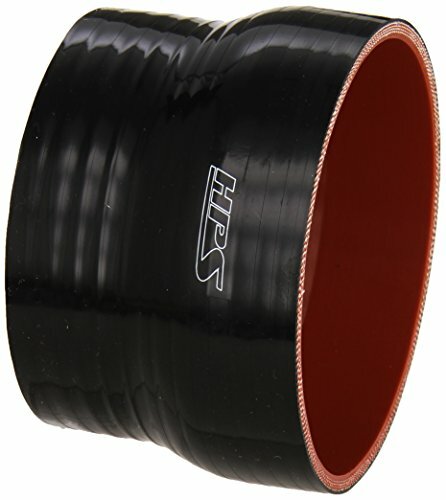 HPS 4-1/4 inch (108 millimeter) 4-ply Reinforced High Temperature Straight Coupler Silicone Hose Black features 4-ply reinforced and knitted premium polyester fabric with high temperature silicone rubber, for which meet or exceed SAEJ20 Standard and is engineered for extreme temperature and various pressure ranges where high performance levels are required. HPS Silicone Hose is commonly used for joining two hard pipes while reducing the possibility of connections coming apart or having your hard pipes or other equipment break. HPS silicone hoses are used by professionals in industries such as high performance racing vehicles, commercial truck and bus, Marine, agricultural and off highway vehicles, turbo diesel, food and beverage, and general manufacturing industries. Temperature Range: - 65 degree Fahrenheit to + 350 degree Fahrenheit (177 degree Celsius). Silicone hose is compatible with water or anti-freeze such as coolant. Silicone hose is not compatible with fuel or oil. HPS 1-1/2 inch - 1-5/8 inch 4-ply Reinforced Reducer Coupler Silicone Hose Black 38 millimeter - 41 millimeter features 4-ply reinforced and knitted premium polyester fabric with high temperature silicone rubber, for which meet or exceed SAEJ20 Standard and is engineered for extreme temperature and various pressure ranges where high performance levels are required. 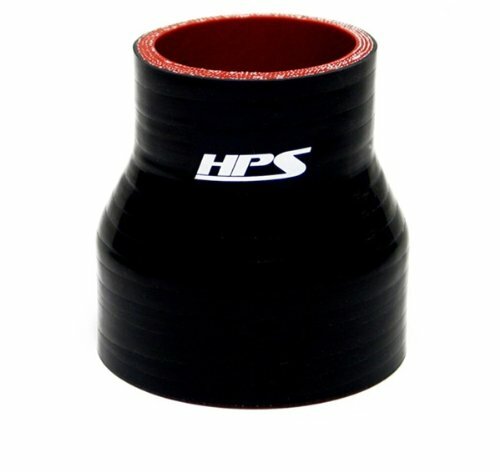 HPS Silicone Hose is commonly used for joining two hard pipes while reducing the possibility of connections coming apart or having your hard pipes or other equipment break. HPS silicone hoses are used by professionals in industries such as high performance racing vehicles, commercial truck and bus, Marine, agricultural and off highway vehicles, turbo diesel, food and beverage, and general manufacturing industries. Temperature Range: - 65 degree Fahrenheit to + 350 degree Fahrenheit (177 degree Celsius). Silicone hose is compatible with water or anti-freeze such as coolant. Silicone hose is not compatible with fuel or oil. HPS 2-1/2 inch - 3 inch 4-ply Reinforced Reducer Coupler Silicone Hose Black 63 millimeter - 76 millimeter features 4-ply reinforced and knitted premium polyester fabric with high temperature silicone rubber, for which meet or exceed SAEJ20 Standard and is engineered for extreme temperature and various pressure ranges where high performance levels are required. 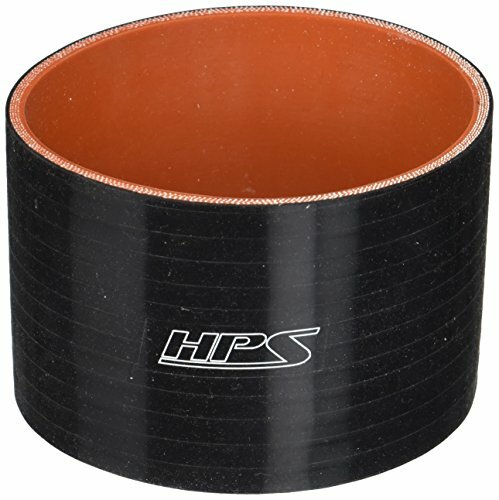 HPS Silicone Hose is commonly used for joining two hard pipes while reducing the possibility of connections coming apart or having your hard pipes or other equipment break. HPS silicone hoses are used by professionals in industries such as high performance racing vehicles, commercial truck and bus, Marine, agricultural and off highway vehicles, turbo diesel, food and beverage, and general manufacturing industries. Temperature Range: - 65 degree Fahrenheit to + 350 degree Fahrenheit (177 degree Celsius). Silicone hose is compatible with water or anti-freeze such as coolant. Silicone hose is not compatible with fuel or oil. HPS 2-3/4 inch - 3 inch 4-ply Reinforced Reducer Coupler Silicone Hose Black 70 millimeter - 76 millimeter features 4-ply reinforced and knitted premium polyester fabric with high temperature silicone rubber, for which meet or exceed SAEJ20 Standard and is engineered for extreme temperature and various pressure ranges where high performance levels are required. HPS Silicone Hose is commonly used for joining two hard pipes while reducing the possibility of connections coming apart or having your hard pipes or other equipment break. HPS silicone hoses are used by professionals in industries such as high performance racing vehicles, commercial truck and bus, Marine, agricultural and off highway vehicles, turbo diesel, food and beverage, and general manufacturing industries. Temperature Range: - 65 degree Fahrenheit to + 350 degree Fahrenheit (177 degree Celsius). Silicone hose is compatible with water or anti-freeze such as coolant. Silicone hose is not compatible with fuel or oil. HPS 2-3/4 inch - 3 inch 4-ply Reducer Coupler Silicone Hose x 4 inch long Black 70 millimeter - 76 millimeter features 4-ply reinforced and knitted premium polyester fabric with high temperature silicone rubber, for which meet or exceed SAEJ20 Standard and is engineered for extreme temperature and various pressure ranges where high performance levels are required. 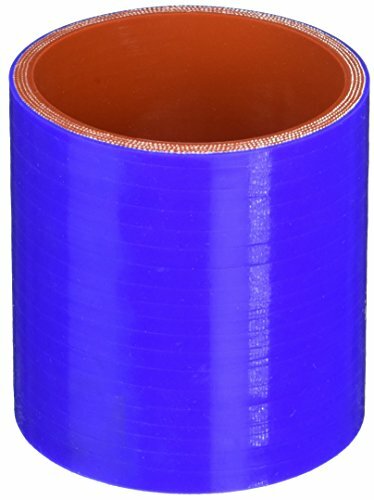 HPS Silicone Hose is commonly used for joining two hard pipes while reducing the possibility of connections coming apart or having your hard pipes or other equipment break. HPS silicone hoses are used by professionals in industries such as high performance racing vehicles, commercial truck and bus, Marine, agricultural and off highway vehicles, turbo diesel, food and beverage, and general manufacturing industries. Temperature Range: - 65 degree Fahrenheit to + 350 degree Fahrenheit (177 degree Celsius). Silicone hose is compatible with water or anti-freeze such as coolant. Silicone hose is not compatible with fuel or oil. 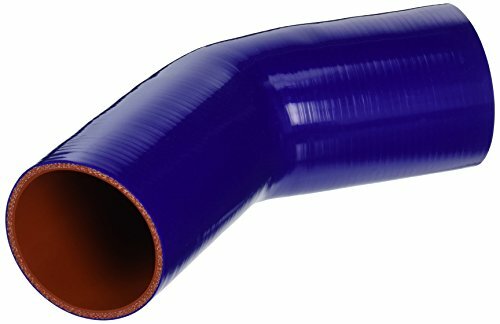 HPS 4-1/4 inch (108 millimeter) 4-ply Reinforced High Temperature Straight Coupler Silicone Hose x 4 inch Long Blue features 4-ply reinforced and knitted premium polyester fabric with high temperature silicone rubber, for which meet or exceed SAEJ20 Standard and is engineered for extreme temperature and various pressure ranges where high performance levels are required. 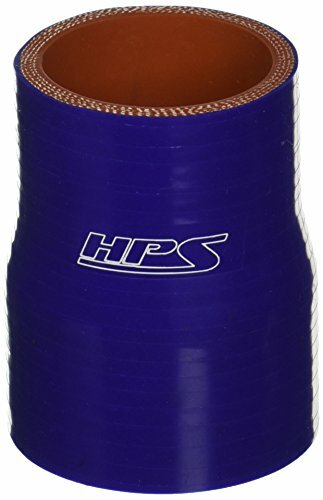 HPS Silicone Hose is commonly used for joining two hard pipes while reducing the possibility of connections coming apart or having your hard pipes or other equipment break. HPS silicone hoses are used by professionals in industries such as high performance racing vehicles, commercial truck and bus, Marine, agricultural and off highway vehicles, turbo diesel, food and beverage, and general manufacturing industries. Temperature Range: - 65 degree Fahrenheit to + 350 degree Fahrenheit (177 degree Celsius). 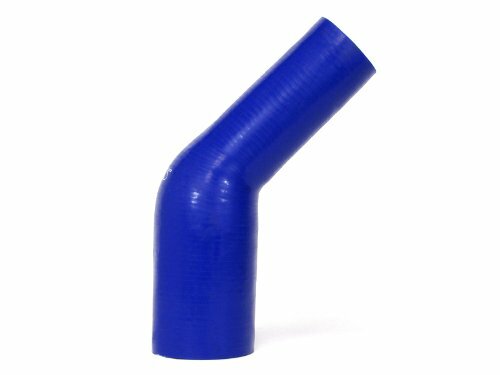 Silicone hose is compatible with water or anti-freeze such as coolant. 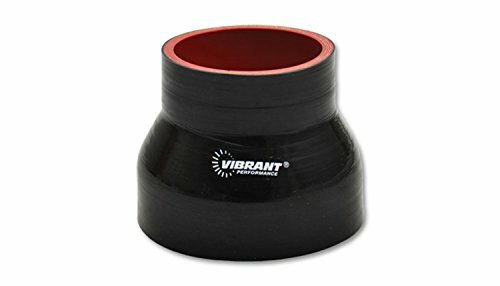 Silicone hose is not compatible with fuel or oil. 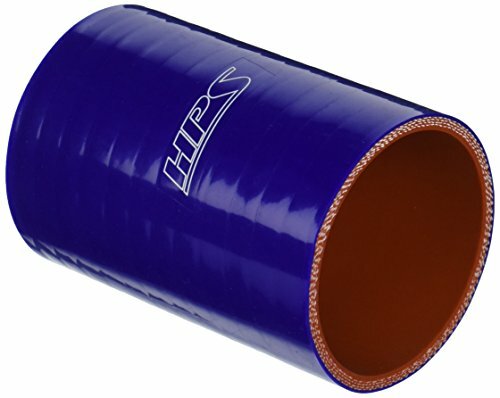 HPS 2-1/2 inch (63 millimeter) 4-ply Reinforced High Temperature Straight Coupler Silicone Hose x 4 inch Long Blue features 4-ply reinforced and knitted premium polyester fabric with high temperature silicone rubber, for which meet or exceed SAEJ20 Standard and is engineered for extreme temperature and various pressure ranges where high performance levels are required. HPS Silicone Hose is commonly used for joining two hard pipes while reducing the possibility of connections coming apart or having your hard pipes or other equipment break. HPS silicone hoses are used by professionals in industries such as high performance racing vehicles, commercial truck and bus, Marine, agricultural and off highway vehicles, turbo diesel, food and beverage, and general manufacturing industries. Temperature Range: - 65 degree Fahrenheit to + 350 degree Fahrenheit (177 degree Celsius). Silicone hose is compatible with water or anti-freeze such as coolant. Silicone hose is not compatible with fuel or oil. HPS 3-3/4 inch - 4 inch 4-ply Reinforced Reducer Coupler Silicone Hose Black 95 millimeter - 102 millimeter features 4-ply reinforced and knitted premium polyester fabric with high temperature silicone rubber, for which meet or exceed SAEJ20 Standard and is engineered for extreme temperature and various pressure ranges where high performance levels are required. 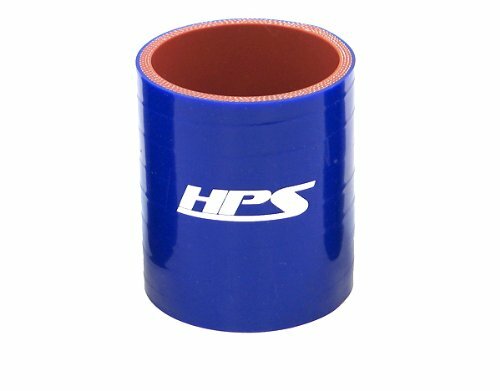 HPS Silicone Hose is commonly used for joining two hard pipes while reducing the possibility of connections coming apart or having your hard pipes or other equipment break. HPS silicone hoses are used by professionals in industries such as high performance racing vehicles, commercial truck and bus, Marine, agricultural and off highway vehicles, turbo diesel, food and beverage, and general manufacturing industries. Temperature Range: - 65 degree Fahrenheit to + 350 degree Fahrenheit (177 degree Celsius). Silicone hose is compatible with water or anti-freeze such as coolant. Silicone hose is not compatible with fuel or oil. This Mishimoto silicone hose kit 2.0 inch, 90 degree coupler has a thickness of 4mm and length of 3 inch. Length: 3.0" Thickness: 4mm ID: 2.0" OD: 2.3"